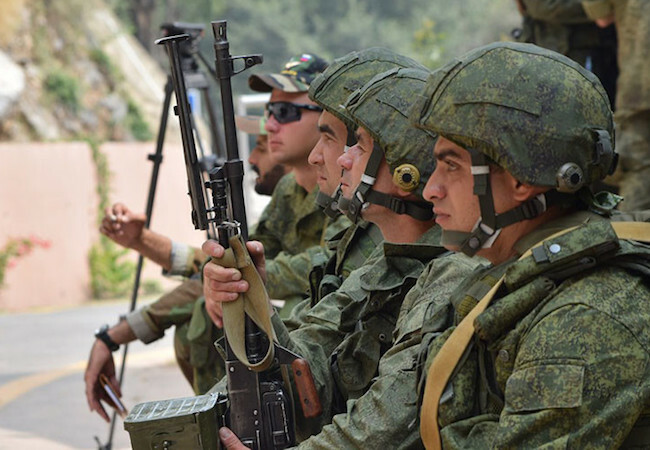 Home ASIA Pak-Russia joint military exercises: Possibility for an emerging new alliance? Since the landscape of International politics is always changing, where the alliances and partnerships are also shifting with much frequency, a new emerging cooperation between Pakistan and Russia gains a huge attention as well as importance. Not only is this a significant development in itself where these two estranged states, since the Cold War, have now agreed to joined hands in military domain, but the timing of the military exercises is also quite noteworthy. It is the time when India, a long time trusted ally of Russia, is bent upon isolating Pakistan in the international community. Hence Russian tilt towards Pakistan despite India’s motives and concerns, carry immense implications for the states as well as for the regional political and strategic dynamics. At the same time India has always banked upon Russia’s unconditional support in almost all the regional and global matters vis a vis Pakistan and other states. Hence the prevalent concern in the official circles of New Delhi about losing out on a traditional partner i.e. Russia, is a very genuine concern. There even have been speculations that India has expressed these concerns to Russian counterparts too, demanding the exercises should be aborted. Whether these reports are true or not, one thing is confirmed that India’s long term and trusted traditional partner has opened avenues of cooperation and partnership with India’s arch rival Pakistan. In these interesting turn of events, the Russian stance is clear yet open to debate. Russia maintains that its partnership with Pakistan is independent of its relations with India. It stresses upon the fact that India never showed concern or even stopped Russia from pursuing independent relations with any other states and that the trust between the two is still very much intact. These could be seen as true since another supporting argument is that the Pak-Russian relations are still at a burgeoning stage and will take time to evolve “if at all” to reach to the level of equation that has existed and is still present between Russia and India. Simultaneously one can bring in the case of China in order to get better understanding of the emerging regional dynamics. China has been since long pursuing the equal handed policy vis a vis Pakistan and India, despite being the closest ally of Pakistan. Even though India and China remained alienated for long after 1962 and have divergence of opinion and clash of interest over several political issues, but they have pushed their differences to the back burner for the sake of bigger interests that serves the both positively. This can be seen as diplomatic maturity that is the need of the time. Pakistan hasn’t lost trust in China, while China has openly claimed verbally as well as through concrete actions that its relations with India will never supersede its relations with Pakistan. This has been proven true time and again as is evident from China’s dedicated efforts for the socio-economic uplifting of Pakistan through the CPEC, as well as China’s stern statement regarding Indian hostile ambitions against Pakistan, in case of which China would voluntarily get involved, giving all out support to Pakistan. Similarly one can expect that Indo-Russia relations to not be effected by the initiation of military exercises between Pakistan and Russia. However that is just one perspective. Another dimension to this whole scenario requires one to consider some other facts too. One cannot ignore the reality that for past some time there has been an ever increasing propinquity between the US and India. The US has been investing massively in India in lieu of its Asia Pacific policy, in which India is seen as acquiring the pivotal position. Furthermore the recent figures have reportedly revealed that US has taken over the title from Russia of being the biggest arm seller/provider to India. The Logistic Support Agreement is another major development that has further strengthened the strategic cooperation between the US and India. All of these have not gone unnoticed by Russia. It is true that India and Russia have not lost the trust in each other but equally alarming is the growing coziness between India and the US, which Russia can’t knowingly ignore. Hence it would not be very wrong to speculate that India’s tight embrace of the US has led to Russia’s opening its channels to Pakistan. The world politics is essentially driven by the realist school of thought. The states have been found to realigning their equations and shifting their priorities as per their ever changing national interests. It is an established fact that the states are rational actors that strive for their survivability and growth. The same can be applied to this scenario. Concurrently Chinese massive investment inside Pakistan through the CPEC, has made Pakistan emerge in a very new light. It is now increasingly being seen as a lucrative investment destination for the international community. Most of the nations are showing their interest in joining and be part of the CPEC project. Russia might too eventually like to seek some long lasting partnership with Pakistan and may become in some way become part of the CPEC. This leads one to visualize another possible realignment of relations and emergence of Russia-Pakistan-China Nexus. Such a possibility may look too good to be true but surely cannot be ruled out.